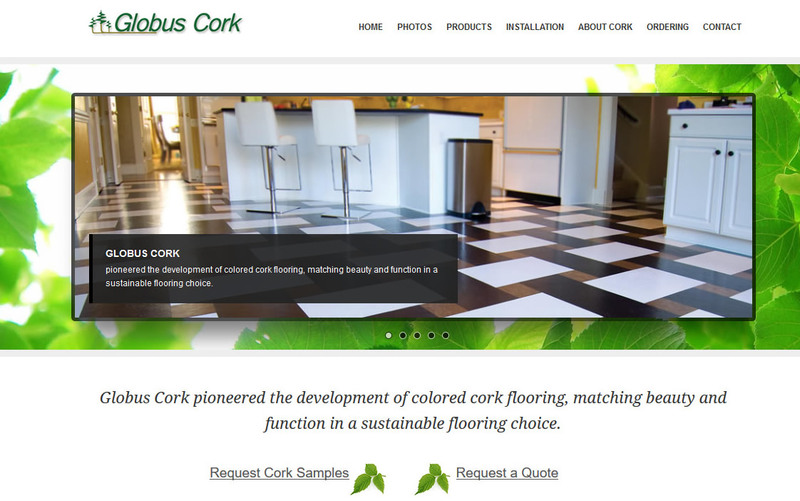 Globus Cork is a New York based cork flooring manufacturer with a broad range of colors and patterns. We have re-designed their website to a more modern one with a custom image gallery, with the option of Pin these images through Pinterest. A shopping cart was integrated to accept payments online with a USPS shipping calculator. We had a blog developed for the client as an open contest for artists to submit their own patterns to help expanding their cork design selections.